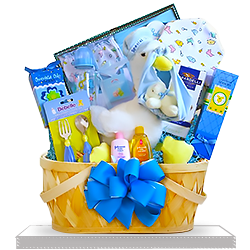 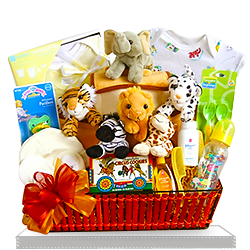 New parents have to start somewhere, and parents of baby boys get a good supply of basic with this thoughtful and usesful basket. 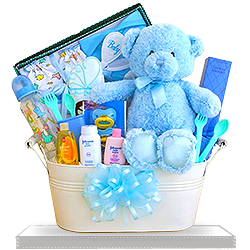 Included in your starter kid are shampoo, powder, and baby lotion, blue pacifiers, a blue-capped bottle, comb and brush set, and fork and spoon. 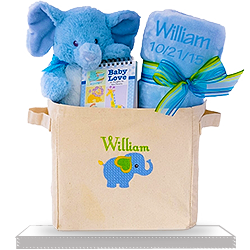 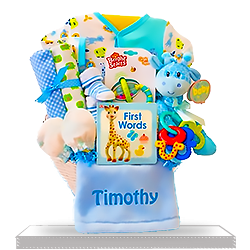 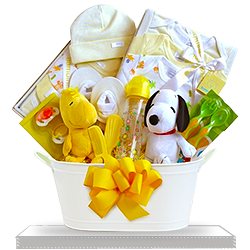 Displayed in a lovely gift box are bibs, mittens, and a hat just for a boy. 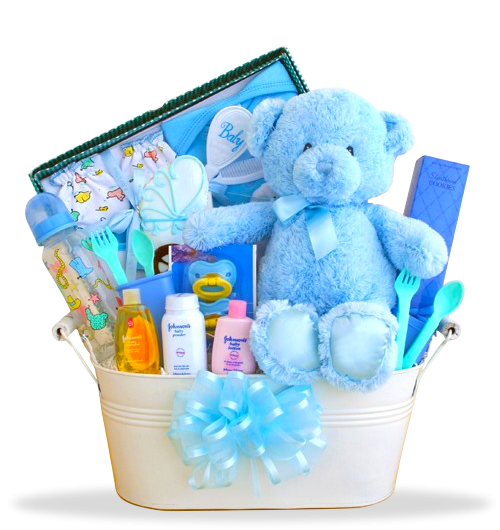 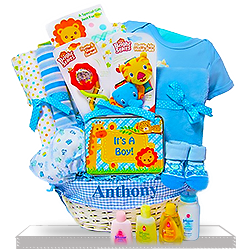 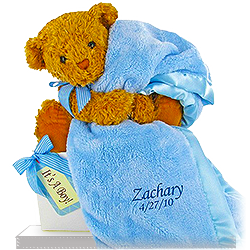 Also included is a huggage blue teddy bears your little one's sure to love. 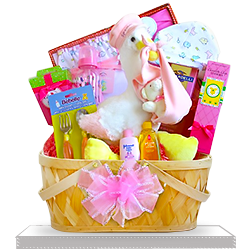 Add a fun shaped iced sugar cookie and a shortbread cookie to the mix, and mom and dad have a sweet treat, too.